Samsung’s flagship has been so far named the “Galaxy S”, followed by the iteration numbers, as the smartphone has evolved from the very first version to the current Galaxy S5. The naming convention applies to the Samsung Galaxy Note as well, but, as far as the Note is concerned, despite targeting a completely different audience, the phablet has evolved over time in such a manner in which it took the “flagship” crown away from the Galaxy S phone, in terms of specifications. They’re different phones altogether, but, if we only take the specifications into consideration, the Galaxy Note is the most powerful smartphone Samsung has, at the end of the year. 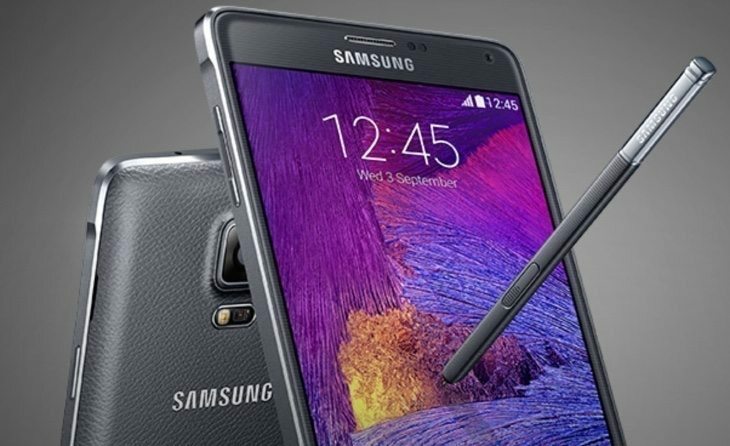 That is, of course, true, and the case of the Samsung Galaxy Note 4 as well. Samsung has also historically done something with its smartphones: the company usually releases minor updates for popular models, which can either be carrier versions, or region-specific variants. These updates — while usually being the same as the original versions — often slightly increase the specifications in one way or the other, to either include a slightly faster processor, a tad more memory, or even an improved camera, battery, and so on. This is the exact case of the new Samsung Galaxy Note 4 that the South Korean phone-maker has recently announced. On the outside, it looks just like the regular Samsung Galaxy Note 4, but, on the inside, the newer version packs updated internals which allow it to be “the world’s first commercially available LTE Advanced (LTE-A) Tri-Band Carrier Aggregation (CA) smartphone”. This minor update, as such, becomes faster and more powerful than the original model. As for the update itself, Samsung explains it: “The LTE-A Tri-Band CA enabled Galaxy Note 4 will provide a download peak speed of 300Mbps, four times faster than the speed of today’s 4G LTE service”. This means faster browsing, faster gaming, faster streaming, faster overall multimedia and content consumption. But, this is, of course, on paper; the capabilities of the phone are there, as they’re hardware supported, but, in order to get those blazing fast internet speeds, you’ll have to be connected to a towerÂ whichÂ supports tri-band carrier aggregation, not to mention that you’ll need to be using the phone under optimal conditions (signal-wise). It’s not the first time Samsung updates a phone with LTE-A capabilities. The Samsung Galaxy S5 also has an LTE-A version, and, just like the Note 4 LTE-A, it’s exactly the same as the non LTE-A version, if you disregard the network capabilities.